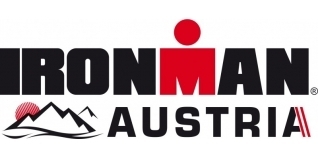 Four weeks to go now until Ironman Austria and I've managed to put together a good little block of training, amounting to over 72 hours in the last four weeks. Normally I would take a recovery week after every two week block of training and have a NO Training day each week. Sometimes you have to take a risk. By paying attention to the recovery indicators, sleep and nutrition, I've been able to alternate hard, medium and easy days to keep the training rolling along. I'm taking a few days easy now as I can feel that the exertions of the last few weeks are taking their toll. Nothing serious, just a few little aches and pains that aren't going away as quickly as I'd like. In all honesty, I'm pleased at how quickly my fitness has come back. Don't get me wrong; I can feel the "lost 3 months" and I'm way behind where I would like to be, but given the circumstances I have to be happy overall. Since my last round of treatment with Alison Rose (www.cspc.co.uk), I've realised just how “locked up” the right side my back really is. I've been doing everything I can to improve the situation. This amounts to about 45-60 minutes of stretching, wiggling, foam rolling and strength training every day. This is helping but not as fast as I would like (when does it ever?). I can run without pain now and I'm feeling quite comfortable but after a few minutes I can feel the muscles start to “hang on”. The lack of rotation in my thoracic spine leads to a tight right hip. Eventually this results in a tightening of the whole lower back and hip flexors and then onto an altered running gait. My calf muscles definitely don't like this and I've been carrying a tight calf now for weeks. It's not bad enough to stop me running but not easy enough to allow a decent run. I can however complete a run/walk combo for two hours and so I've come to the decision that this is how I will approach the race. I've read a lot about this type of approach and Jeff Galloway (www.jeffgalloway.com/training/run-walk/) a running coach in the US is very well known for his run/walk programmes. Right from T2 I'll be adopting a strategy of run four minutes and walk two minutes…without fail. So, I'm not going to run for longer than four minutes, even if I feel good and I'll force myself to run if I feel bad. OK, maybe a little concession. If I get to 32k and my legs feel sooooo good that I cant resist then I'll run more... but I'm as likely to win the damn race as that is to happen. I've wanted to try a walk run protocol for a while now and this is the perfect opportunity. Of course, I'm being forced into it somewhat by the situation. That said, there's plenty of evidence around to show that you can actually get to the finish quicker than the standard Ironman alternative. That being... run for as long as you can - until your legs give up - start feeling sorry for yourself and then go through the walk, try to run, walk more and finally muster up a shuffle when you can hear the commentator at the finish line. Whilst I understand the philosophy that "it's supposed to be a run! !” and the unswerving attitude to try and prove so, I think that if you look at the times of many, including myself, you would find that the average pace of this approach is actually slower than run/walk. Yes, I know that the race will be different and that my pace will fade in the latter stages. But will it be that bad? Back in January I was seriously considering pulling out of the race not seeing anyway I could even make it through the swim. Now, I'm optimistic of not just making it to T1, but T2 inside 7.5 hours and that would give me 9.5 hours to get through the marathon.